Alcatraz Island is a small island in San Francisco Bay located just 1.5 miles from the San Francisco USA mainland. It has served as a military post and a prison. Today, however, it is popular tourist destination. 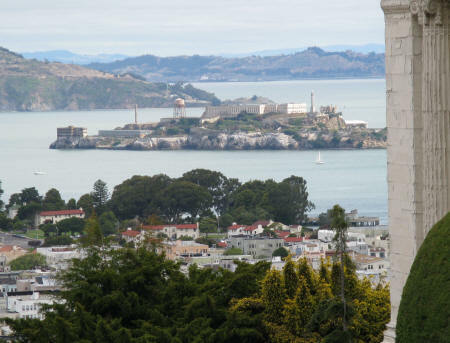 The Island of Alcatraz has been featured in a number of movies including "The Rock" starring Sean Connery and Nicolas Cage. A ferry service operates from Pier 33 in San Francisco to Alcatraz. Due to its immense popularity, however, tour reservations should be made weeks in advance.